DSTV users in Nigeria may soon be availed the Pay-As-You-Go option, as MultiChoice Nigeria finally considers the model in the face of growing competition. This was disclosed by the company’s Managing Director, John Ugbe, who spoke to journalists during the ongoing Digital Dialogue 2018 hosted by MultiChoice Africa in Dubai. He, however, stated that the possibility of this proposed move is completely dependent on whether their current business model and available technology would permit it. 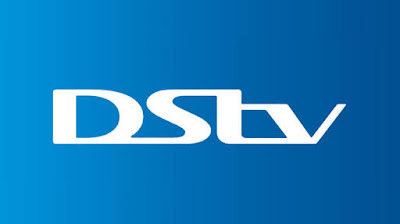 The Pay-As-You-Go option would reduce costs on the part of consumers in the sense that DSTV would charge them based on their consumption rate; excluding interference. For years now, Nigeria’s Pay-TV consumers have clamoured for the option but all to no avail. Most providers, especially MultiChoice Africa (owners of DSTV), have repeatedly stated that the model cannot work in Nigeria because their relayed contents are bought in whole. For many years, MultiChoice has been the preferred Pay-TV provider for most Nigerians as their DSTV decoders are used in many homes. It almost appeared like a monopoly, until recently when starTimes emerged on the scene. But despite this development, DSTV continued to maintain a competitive edge, thanks to the exclusive rights on premium sports it enjoyed for years. Kwese TV’s entrance into the Nigerian market has however challenged this status quo. With the emergence of more players in the Nigerian Pay-TV market, MultiChoice will not have a choice than to change its stance on Pay-As-You-Go. Already, one of its strongest competitors, Kwese TV, last year unveiled its Pay-As-You-Go package. StarTimes also recently did same. Therefore, MultiChoice has to follow suit or risk losing its customers. Recall that this situation is akin to what happened years back in the Nigerian telecoms industry when the likes of MTN and Airtell repeatedly stated that pay per second billing was impossible. It took the emergence of Glo to get the others to conform. Much like MTN, MultiChoice Africa is originally a South African company, raising the suspicion whether South African companies like to profiteer in the Nigerian market.